Social media is ubiquitous. Technology, the Internet and the rapid rise of social networking/media have impacted how we communicate, work together, share information, and even live our day-to-day lives. We are in the midst of a cultural and social “revolution” facilitated by the use of these social media technologies. I believe that this revolution is nothing less than a fundamental development in the phenomenon of self-expression, human bonding and group action. 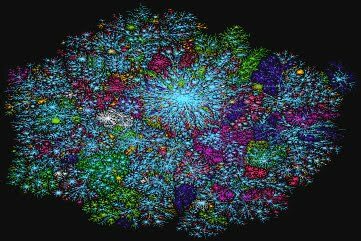 In this piece, I explore the ways in which social networking creates a unique platform for communication, conversation, connection and collective action. My own experience reflects this phenomenon with the use of Facebook, twitter, linkedin and other social networking sites. I have been delighted to reconnect with old friends who I had lost contact with but remember fondly. One such connection, Larry, a friend from college days in the late 1960s, who now lives in LA, reconnected with me through Facebook over a year ago. We have caught up on our lives through postings; recently Larry visited with me while on a brief trip to Boston. We then had another visit when I was in CA in March for NSO. We’ve had an opportunity to catch up, support one another, and find commonalties in our current life situations. I don’t believe that could have happened without the social media tools. I begin all of the technology classes that I teach with the Watson quote above. In 1943, the world was a very different place than it is today, in 2010. Social Media is creating a revolution in mostly every aspect of life. And we are just at the beginning of its evolution. In Socialnomics: How Social Media Transforms the Way We Live and Do Business, Erik Qualman explores the ways that social media platforms like Facebook, YouTube, and Twitter are fundamentally changing the way businesses and consumers behave, connecting hundreds of millions of people to each other via instant communication. This is a massive socio-economic shift that is changing the way consumers and companies communicate and interact with each other (Qualman, 2009). Indeed, Facebook, YouTube, Linkedin, Twitter and other social networking sites have changed our boundaries of time and distance. The video below is based on Qualman's book, posted on YouTube July 30, 2009 and as of April 11, 2010, only 8 and 1/2 months has had 1,746,220 views. I believe this revolution in social media is based on a fundamental human instinct that has driven social interaction throughout our evolution, the need for connection, for bonding. In Driven: How Human Nature Shapes Our Choices, Paul Lawrence and Nitin Nohria state, “…humans, all humans, share an innate drive to bond…this drive is a primary one.” They go on to argue, “Humans have an innate drive to form social relationships and develop mutual caring commitments with other humans (Lawrence & Nohria, 2002).” Humans also have a distinct and innate drive towards individuation and self-expression. Social media provides a new platform for both of these drives to take different forms. According to Clay Shirky, and I believe based on the instincts we share for connection and self-expression, we humans are great at forming groups. In his talk at Harvard’s Berkman Center for Internet and Society and in acclaimed book, Here Comes Everybody: The Power of Organizing Without Organizations, Shirky describes 4 rungs on the ladder of social interaction specific to the Internet and the social media platform. Jack is interested in nature. He finds lots of websites on the web that he bookmarks on delicious.com, the social bookmarking site. He can post pictures on flickr.com, the picture-sharing site. He can invite friends, share with them what he has discovered. His friends do the same. Their collective knowledge expands. 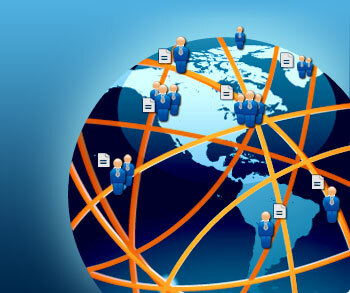 Sharing has become a platform for coordination rather than the other way around. 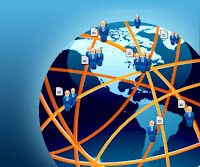 Conversations on the web allows for the forming and building of “Communities of Practice” that support one another, especially around common interests. Shirky shares an example of learning High Dynamic Range photography through picture sharing and conversation posting on flickr.com. It could take years to learn how to do this, but the postings, examples and conversation allowed for a 3-month learning curve. A small group who shared a love for animae – Japanese animation gathered together online and built a website for collaboration. They began creating their own version available in English. They organically formed into a community to develop a sophisticated and content rich website - all for free. From their website: “The Aegisub Project is a community-driven effort to write the BSDL licensed cross-platform subtitle editor Aegisub. Composed completely of volunteers passionate about subtitling, as a project it strives to be open, fair and most of all: free.” Wikipedia is also a great example of collaborative engagement in collectively writing the world’s largest encyclopedia. The first three: sharing, conversation and collaboration require more synchronization of the individual with the group. Collective action is more difficult to get going and maintain. Another key factor in this cultural revolution is the younger generations’ ease of use with technology. Morley Winograd and Michael Hais discuss the impact of Millenials, those born since 1982. This generation is also referred to as Digital Natives, they have only known a digital world, one with computers, mobile devices, email, instant messaging, a world where connection is multiple and instant. While Winograd and Hais discuss the political implications, how the Millenials participation impacted the Presidential campaign of 2008 and the election of Barack Obama, there are additional aspects that I find very interesting. I have been curious about how Millenials, Digital Natives, bond and connect and if there is a generational difference. When my old college friend Larry and I met face-to-face after a time of reconnecting on Facebook, a young friend of mine was surprised. Meeting up would not be what she would do. Our meeting meeting face-to-face seemed like a natural next step, at least for us from the baby boomer generation. We prefered face-to-face while the millenial generation, one of digital natives, would more readily opt for continued online conversation according to my young friend. Is this tendency an indication of the digital gap between the generations? How is this being considered in the digital revolution? Baby boomers did not grow up in a digital world. Rather we process differently. What makes social media so ubiquitous is that the tools are simple, easy to use. CommonCraft’s series of tutorials allow for understanding the ways that social networking can be used. 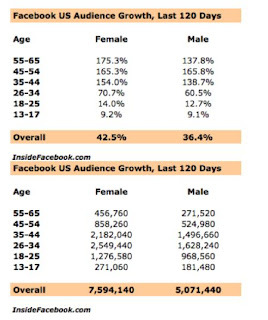 These tools make it possible for the largest growing demographic on Facebook to be women, 55+. 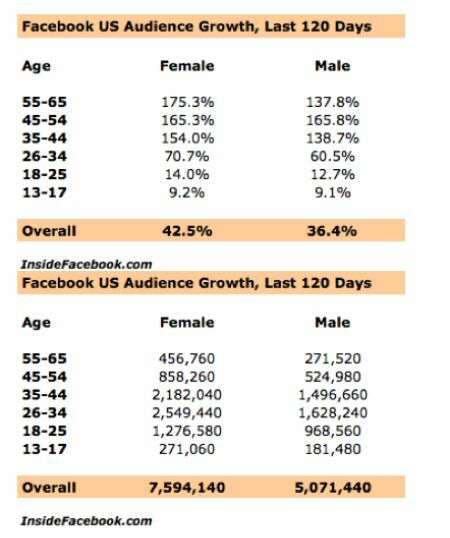 "The number of US women over age 55 using Facebook grew by 175.3% since September 2008, making mature females one of the fastest growing demographic groups on the social network, according to usage statistics released by independent blog Inside Facebook." Baby boomers, finding ways to express and connect online, are joining the digital revolution and beginning to have significant impact. As I sit here and reflect on my learnings over the past several weeks, and how far I've come in such a short time, I imagine where this evolution will take me over the next several years. There is a discovery process I feel we are in the midst of and that this emerging cultural revolution will take us in directions we can’t even imagine but only hint at. I’m ready for the journey. Qualman, E. (2009). 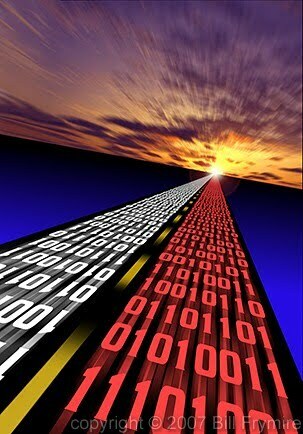 Socialnomics: How social media transforms the way we live and do business. San Francisco, CA: John Wiley and Sons. Shirky, C. (2008). Here comes everybody: The power of organizing without organizations. New York, NY: The Penguin Press.